•	After acquiring majority stake in REC Ltd (formerly Rural Electrification Corporation Limited), centre backed Power Finance Corporation (PFC) has become the India’s second largest Govt-owned Financial Firm after State Bank of India (SBI), based on market capitalization. 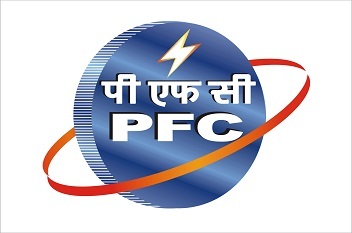 •	PFC has bought the 52.63% controlling stake in REC through Rs 14,500 crore deal with Union government. •	The REC’ shares were acquired at Rs139.50 per equity share price. 70% of the deal was financed through cash inflows and the balance through debt. •	This acquisition has impacted union government beneficially, as it exceeded the disinvestment target of Rs 80,000 crore for the fiscal year 2018-19. •	Power Finance Corporation Ltd. is an Indian financial institution. Established in 1986, it is the financial back bone of Indian Power Sector. PFC`s Net worth as on 30th September 2018 is INR 38,274 Crore . PFC is the 8th highest profit making CPSE as per the Department of Public Enterprises Survey for FY 2017-18. • Goods and Services Tax (GST) authority, the Central Board of Indirect Taxes and Customs (CBIC) clarified that in case of death of the sole proprietor, there will be transfer or change in the ownership of business. • The transferee or the successor will be required to register with effect from the date of transfer or succession of business to another person for any reasons including death of the proprietor. • The applicant will be required to mention the reason to obtain registration as death of the proprietor in the registration form. • The legal heir of the dead sole proprietor will be required to give application for cancellation of the existing registration. • The GST Identification Number (GSTIN) of transferee is also required to be mentioned to link the GSTIN of the transferor with the GSTIN of transferee.